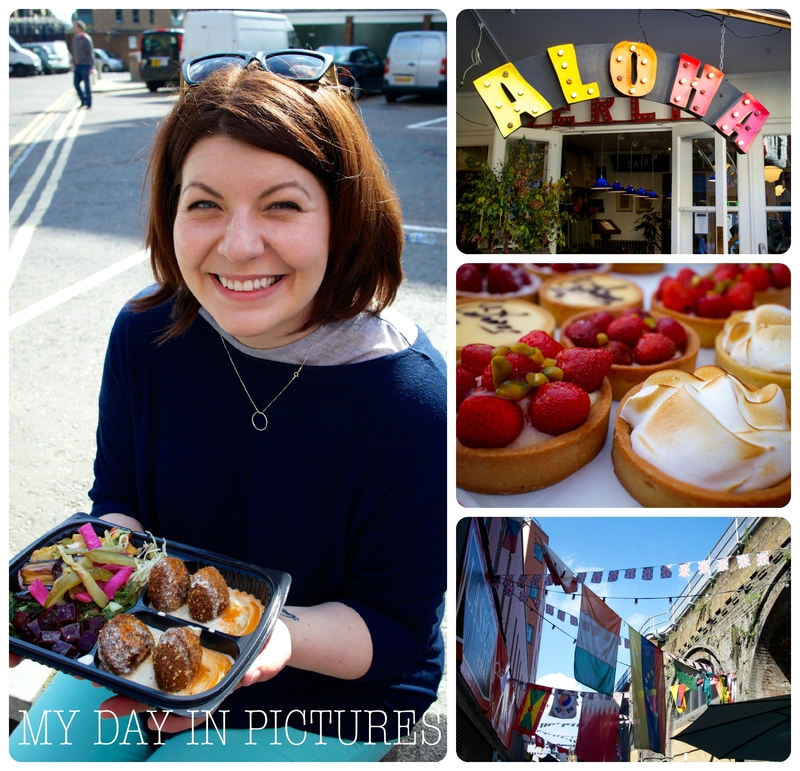 In my week in pictures post I mentioned a visit to Maltby Street Market and this past Sunday I headed there again for brunch with my gal pals. I know I said previously I wanted to keep this market under wraps because it’s nice and chilled out but it’s just so lovely I had to share it with you. You won’t tell anyone, right? 😉 It’s the ideal spot to sample foods from around the world and a great people-pleaser allowing friends to dine together on whatever cuisine they fancy. There are a few places to sit within the market but it was such a sunny day we perched on a wall at the market’s edge and used the opportunity to soak up a few rays before they give way to higher winds and autumnal rainclouds. Price-wise, some stalls are more reasonable than others. I went for a falafel and salad box which came in at £4 and was delicious though I did see an overpriced wrap going for around £8 which I think is just too much. Maybe it’s the best wrap in the world but the price put me off wanting to find out. If you’re as keen on coffee as I am, the stand closest to the entrance does the best lattes, mochas, piccolos and, I’m told, cold brew that you will find at the market. If your tastebuds crave something a little more indulgent their hot chocolates, made from melted chocolate drops, are rumoured to be the best in town. That’s all for the moment. I’ve a vlog on its way this weekend for anyone who fancies an escape to the country. Have to say I am SO jealous of your ‘private’ market find…looks gorgeous! All of it looks wonderful! I’m happy you had a lovely time! I can’t wait to see your upcoming vlog video!